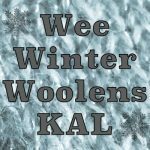 This week’s ornament is super, super simple. 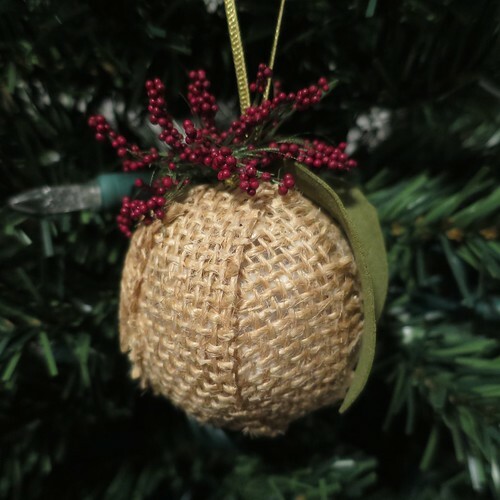 It’s a great one to make when you are too busy to do something elaborate or want to make a bunch of the same ornament. There is something I find really appealing about this kind of ornament. 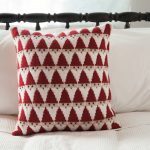 It has a homespun, rustic appearance that adds to that cozy feeling I like for winter and the holidays. 1. 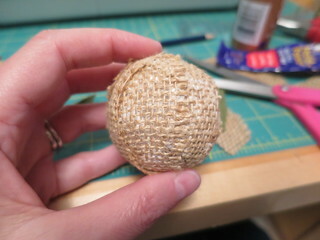 Cut the burlap into strips long enough to go from top to bottom of the styrofoam ball. Glue the strips on with the foam glue, slightly overlapping them, until the whole ball is covered. 2. 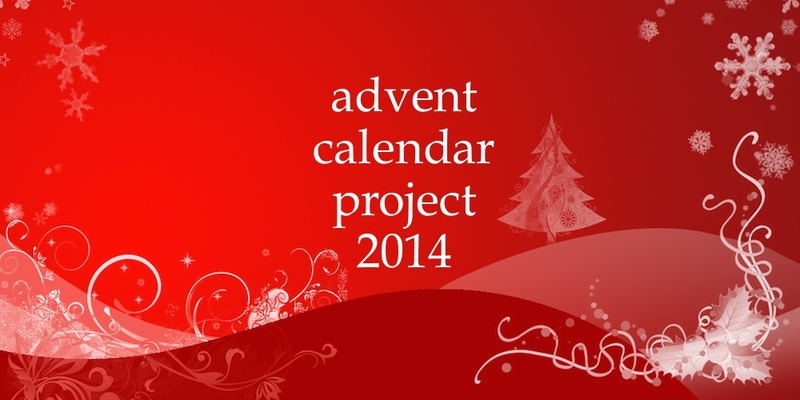 Fold the ribbon on half and tie a knot at the bottom turning it into a loop. Pin to the top of the ball. 3. 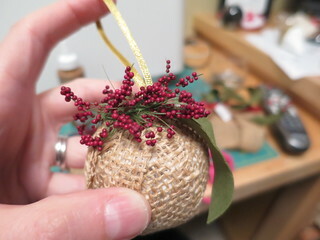 Either glue or pin the berries and a leaf or two around and over the knot to the ribbon at the top of the ball. That’s all it takes and you have a sweet, little ornament.